Centrally Located. Four Points by Sheraton Bakersfield offers a great location in the heart of the main business district of Bakersfield. On 7.5 acres of lush landscaped grounds – complete with an interior courtyard – you’ll be surrounded by cool waters, manicured grounds, and the serene sounds of babbling creeks. Plus, a variety of restaurants and shopping all within walking distance of the hotel. Located conveniently off of CA-99, the newly renovated Red Roof Inn Bakersfield is a family-friendly and pet-friendly hotel. The hotel is located close to many eating, entertaining and shopping opportunities. Guestrooms include free Wi-Fi and flat screen televisions, microwave, mini-refrigerator, hairdryer, in-room coffee, iron and ironing boards. A coin laundry is available for guest use. Relax in the outdoor seasonal pool (April – November). Free coffee and tea available in the lobby. 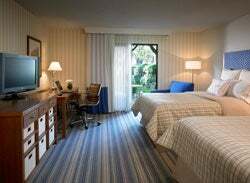 Whether on business or leisure travel, come check out the hospitality Red Roof Inn Bakersfield has to offer. 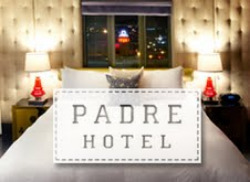 The premier choice for downtown Bakersfield hotels, The Padre Hotel first opened its doors in 1928. After being closed for several years, we're shaking off the dust to reveal a casually sophisticated boutique hotel and entertainment venue. 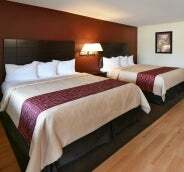 After a long day out in the oil fields, working on the farm, or just exploring Bakersfield, come unwind in our luxurious guest rooms or enjoy one of five unique food and beverage venues. Guests of the hotel are required to be 21 years of age, unless accompanied by an adult. Voted one of Bakersfield's favorite restaurants, the Bistro's innovative cuisine, friendly staff, and lively atmosphere make it a destination not to be missed. Our fresh and tantalizing menu offers a modern approach to classic flavors, the perfect complement to the eclectic, lively spirit of Southern California. The Belvedere Room presents a distinctive dining experience, whether you’re in the mood for a casual meal or a special celebratory feast. The elegant ambiance and exceptional food uniquely combine to marry old-world style and modern tastes. The room is majestic in appearance, sophisticated in service and satisfying to the appetite. The 20-foot high ceilings and Neoclassic elements are evocative of the grand restaurant that originally occupied this space. Tufted wall panels, luxurious custom draperies, antique style floor lamps and design details created by Graham Downes add sophisticated elements that beautifully accent the room and add to its timeless quality... and to its Padre signature. Belvedere’s menus are based on classics and firmly rooted in the California cooking philosophy made famous by chefs like Alice Waters, with a focus on fresh, seasonal and local ingredients, the result is classic, flavorful, vibrant and satisfying food creatively reflecting the season. Wine selections that emphasize regional vineyards as well as highlights from around the world complement our dishes and contribute to an experience that is uniquely Padre. P.F. Chang’s China Bistro is conveniently located at the Shops at Riverwalk, 10700 Stockdale Hwy. Visit us for food and drink specials during our Happy Hour everyday from 3-6 pm. 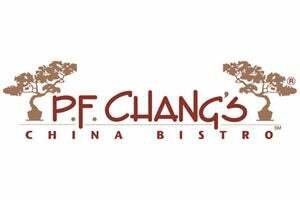 You can also make a reservation or place a take-out order on-line at pfchangs.com. We serve lunch and dinner from 11am-10pm Sun-Thurs, and 11am -11pm Friday and Saturday. We also offer an extensive menu that meets the needs of both vegetarian and gluten-free guests. We look forward to seeing you soon. Nestled in the heart of Downtown, in the historic Haberfelde Building, Uricchio's Trattoria has been a mainstay for over 16 years. Family owned and operated and voted Best Overall Restaurant in Bakersfield 2010 - Uricchio's offers an extensive menu consisting of Italian dishes, seafood specialties, chops & steaks. The wine list is extensive, the staff is friendly and the San Francisco style setting is unique. Uricchio's is the perfect spot for a business luncheon, family celebration or a romantic dining experience. Open Tuesday through Saturday. Dinner reservations recommended. 1400 17th Street, Bakersfield, Ca. Phone: 661-326-8870.